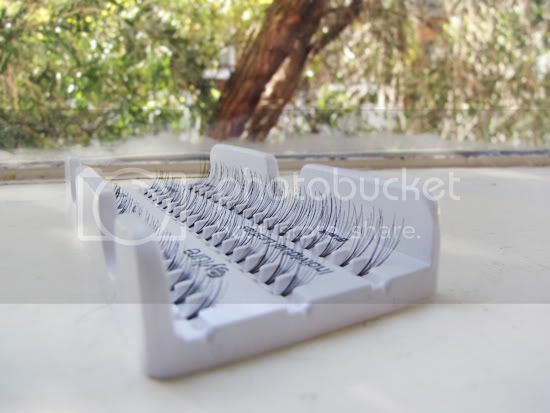 The individual lashes are stuck to a little plastic tray, which makes them easy to access and keep tidy. 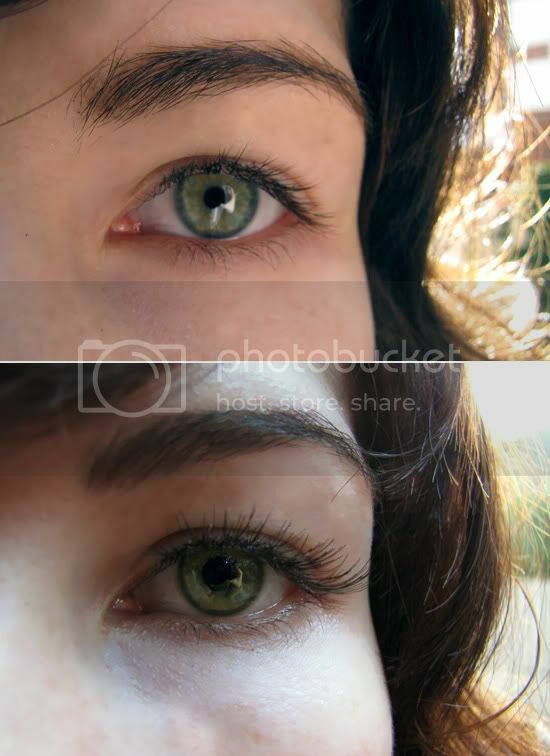 They are available in packets of short, medium and long lashes or packets of all one length. 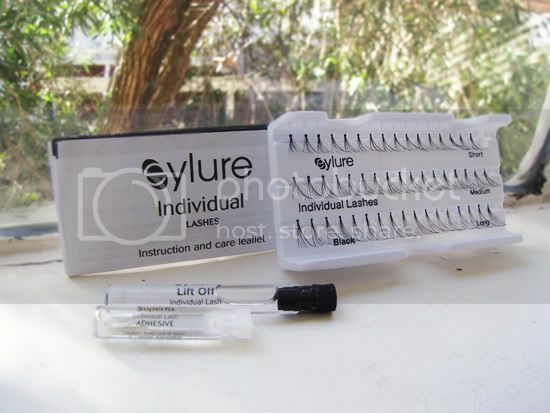 Each packet costs around AUD $15.00 and contains a small tube of 'Lift Off' remover, an even smaller tube of clear adhesive, instructions and 50 individual lashes. The leaflet gives step-by-step instructions, or you can just follow the pictures on the back of the box. The instructions are relatively easy to follow, though I found it took me a few tries to get used to the application technique. Before applying make sure you remove all traces of eye makeup (otherwise the lash adhesive will not work as well). Using tweezers pick up a lash from the tray, cover the tip in adhesive, then apply to your lashes as close to the roots as possible. 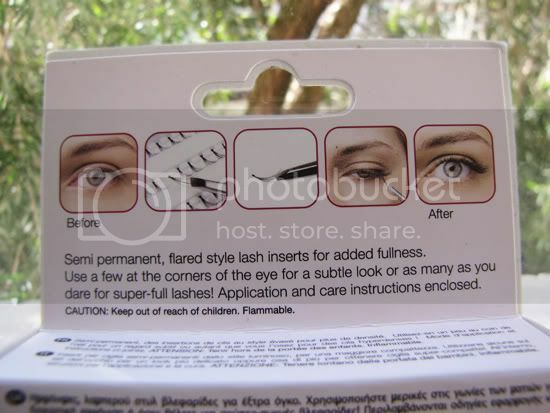 The instructions suggest blotting some adhesive on aluminium foil, but I found that the adhesive dried too quickly so I preferred to use the applicator tip to apply the adhesive to the individual lashes. I was really impressed with the way my lashes looked after I had finished applying them. They still looked quite natural but much longer and more noticeable. As for the longevity of these lashes, I've been wearing them for about four weeks now and I've found that every few days one or two either become loose or fall off (particularly the outer corner ones as I'm a side sleeper). Whenever I lost a lash, I found it very easy and quick to just reapply another lash in it's place. So although they did not last for four weeks without regular maintenance as the packet suggested, the upkeep was quite minimal and I kept them on for about six weeks all together. 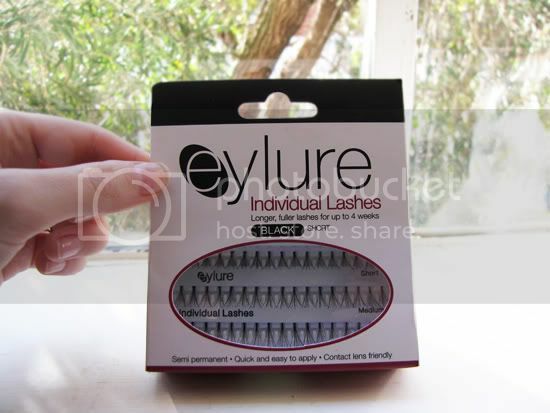 If you're interested in trying Eylure lash extension kits, they RRP for around AUD $15.00 and can be purchased at Priceline and various online including Amazon, House of Fraser and Feel Unique (which offers free worldwide delivery!). thanks for this review! 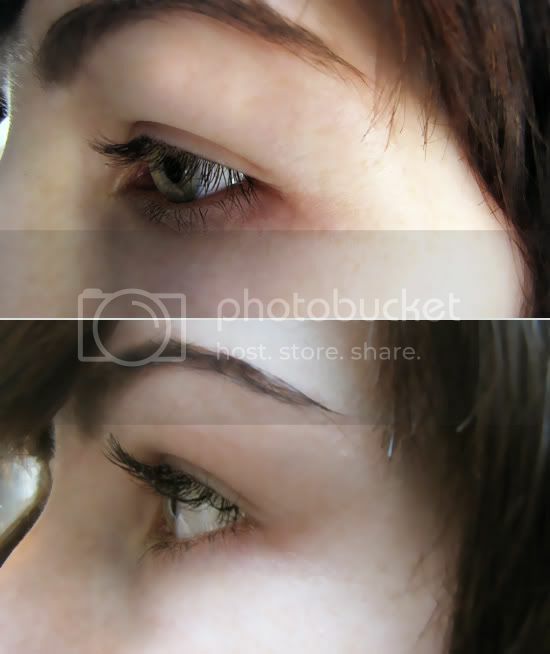 love the idea of eyelash extensions for a much cheaper price than salon ones! I'm definitely going to give these a try! Oh that really looks nice! Thanks for the review Sushi- these look fabulous (and affordable)!! I'll be on the look out for these at Priceline. Those are so cool! Its awesome that they stay on for 4 weeks - that's not too bad. I might try these out. This was so helpful! 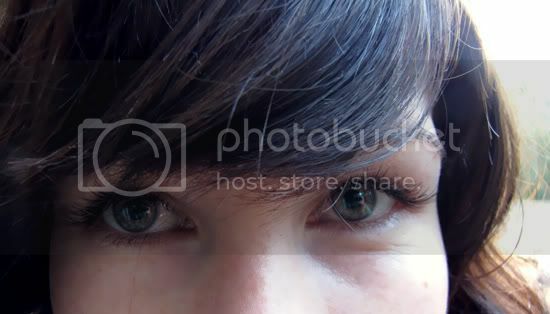 I've been umming and ahhing over falsies for a while, and think I might give it a go soon. ah, your eyes look amazing but there is no way I could be bothered applying them... I know, so lazy. Most days, I even forget eyeliner and mascara. Your eyes look absolutely beautiful. These look really good! I wish I could use them but I get really terrible reactions to 99% of eye makeup/etc. Just my luck, haha! I am born with flat uncurly short lashes. This is definitely interesting since they last for so long and does still maintain the natural look without the thick lashes that have a fake effect. My first reaction, was damn you keep your eyelashes in for 4 weeks? Oh my god,am I doing it wrong by removing my lashes in the evening.. Doesn't it itch? When you take of your eyemakeup off, doesn't it become dirty? I actually have these but have yet to try them... need to give it a go! Wow, it really makes a difference! Just wondering if they fall off when you shower? Your blog is a work of fashion! with fashion is so interesting coming from a perspective of modesty. I really enjoyed your blog. Hey that's pretty awesome! I too am too lazy to apply falsies daily, but I really need them because I have almost zero eyelashes to speak of. I think I'll give these ones a go, have been meaning to try individual ones anyway.